Blackeby's Old Sweet Shop on James Place takes the idea of an old sweet shop, and throws in a little bit of Willy Wonka magic. Before you even step inside you're delighted by the bright colours and colourful characters of this very sweet store. It's no wonder kids love coming here and apart from the mad sugar rush, you'll enjoy it too! The shelves are filled with just about any kind of lolly or candy you can dream of. 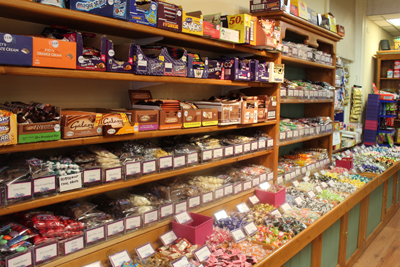 There are old style sweets like boiled lollies and liquorice straps, but there are also ranges of chocolates, and homemade fudge. You can grab a bucket and select from a varied range of pick and mix options, or stick to the pre-packaged bags. 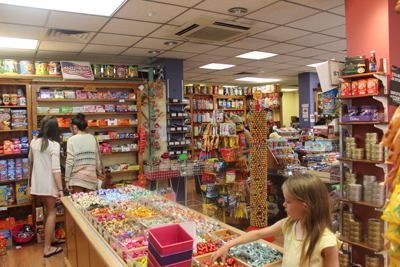 They also stock a large supply of hard to find American candy, as well as cereals and soft drinks. If you've got a Pez collector in the family you can find multiple characters here, and they have wonka lollies in so many different flavours. 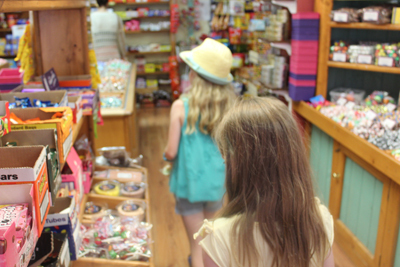 It's not just the lollies that will get kids excited, shopping at Blackeby's feels magical whether you come out with bags of shopping or not. The back wall, lined with many jars of candy, is very reminicent of the candyman can scene in Willy Wonka and the Chocolate Factory, you half expect Bill to pop out with Wonka's new Scrumpdiddlyumptious Bar. There are gumball machines, and other dispensers that look like they belong at a 1950s fairground. 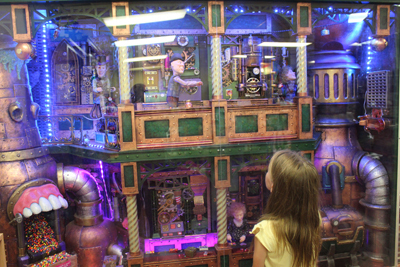 The 8-year-old liked the moving diorama of people working hard in the candy factory, she pointed out that it was just like in the Magic Cave. It is possible to spend big in Blackeby's. American candy doesn't come cheap, and it's hard not to be tempted by everything inside. You probably wouldn't want ot add it to your itinerary every time you make a trip to town, but it's a fun place to visit for somewhere special. The 8-year-old and 11-year-old each came away with a bag of flying saucers while the 4-year-old managed to grab a whole handfull of different lollies before also picking out a packet of nerds for her older sister. 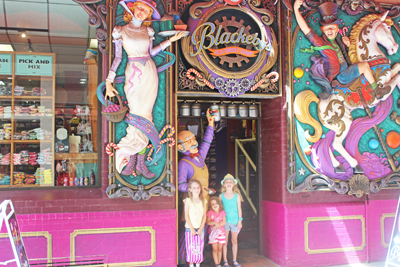 Blackeby's can be found on James Place, just off of Rundle Mall. They're open Mon-Thurs 9am-6pm, Fri 9an-9pm, Sat 9am-5pm, Sun 11pm-5pm.